Amy Sadler currently serves as the Client and Affiliate Relations manager for the Shingo Institute. She joined the Shingo Institute in 2002 as the assistant director of events and finance where she was responsible for organizing conferences and workshops. 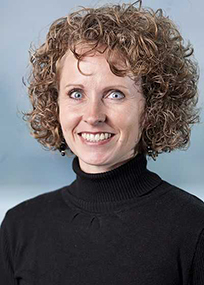 From 2004 to 2017, Amy served as the Institute’s editor and materials manager. She has been actively involved in the creation, revision, and updating of all affiliate-based training materials, and she has worked extensively with the Institute’s assessment, education, IT and marketing teams on an on-going basis. Prior to joining the Shingo Institute, Amy was the assistant director of Partners in Business. In this role, she led a team of student coordinators in providing a series of specialized business conferences that cover the major business trends and facilitate a forum for practitioners, faculty, and students. Amy earned a bachelor’s degree in management from the Huntsman School of Business at Utah State University. She spends her free time chauffeuring her children to their many activities, and she enjoys the outdoors, playing the piano and reading.